Got plans this weekend? Check out one of these picks from the Junior. Happy Valentine’s Day! You know what I love more than the candy hearts and flowers that come on cupid’s special day? The knowledge that President’s Day is just around the corner! No, I don’t have a special affinity for George Washington or Abraham Lincoln. What warms the cockles of my heart are federal holidays. That’s right, people. Along with that slice of cake for the father of our country comes a glorious mid-winter day off. Just think! A three-day weekend to relax, explore, or in my case — a chance to get caught up with laundry and Netflix. Here are a few weekend adventures for you and munchkins to enjoy even if you don’t have Monday off. Start the weekend out right with a little fishing — or if you like, a whole lotta fishing! 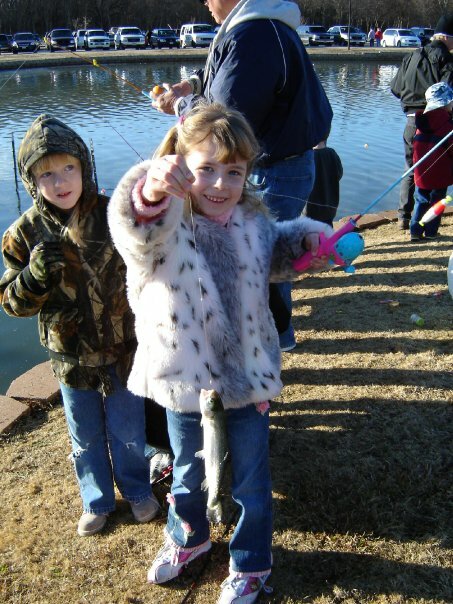 Little anglers can catch some of the 5,000 rainbow trout that will be stocked in the Town Lake in McKinney this Saturday at the annual Trout Derby. Highlights include free hot dogs, a casting contest, and prizes for the biggest and smallest fish caught. Everyone is encouraged to keep what they catch since trout cannot survive when water temperatures rise in the spring. The early bird catches the worm, or fish, in this case, because fishing starts bright and early at 8 a.m. You’ll need to bring your own gear and bait but fishing is free for kids 16 and under, and just $3 for adults. Adults must bring a current fishing license. Speaking of early birds, if it’s February it must be time for the Great Backyard Bird Count. That’s when the National Audubon Society asks people to count birds for 15 minutes on one or more days of the four-day event and then report their sightings online at birdcount.org. 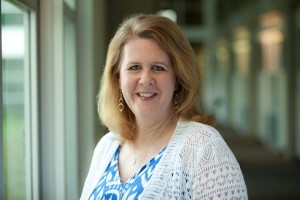 The findings help create a real-time snapshot of bird populations. 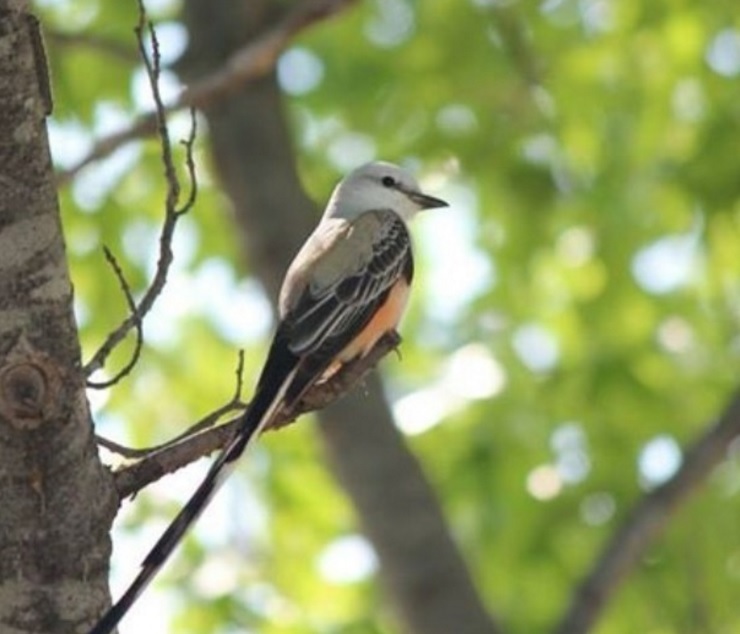 You can celebrate birds and take part in the global count this Saturday at River Legacy Living Science Center‘s Great Backyard Bird Count Festival. Besides counting our feathered friends, you can also take a guided family bird hike, see a live raptor presentation, and have fun with bird-themed games and activities like owl pellet dissection, bird origami, and a live chicken/egg exhibit. If you prefer your birds to be the mechanical kind, head out to Addison’s Cavanaugh Flight Museum on Saturday to see a contest that’s part robot wars, part air show, and part NASCAR. 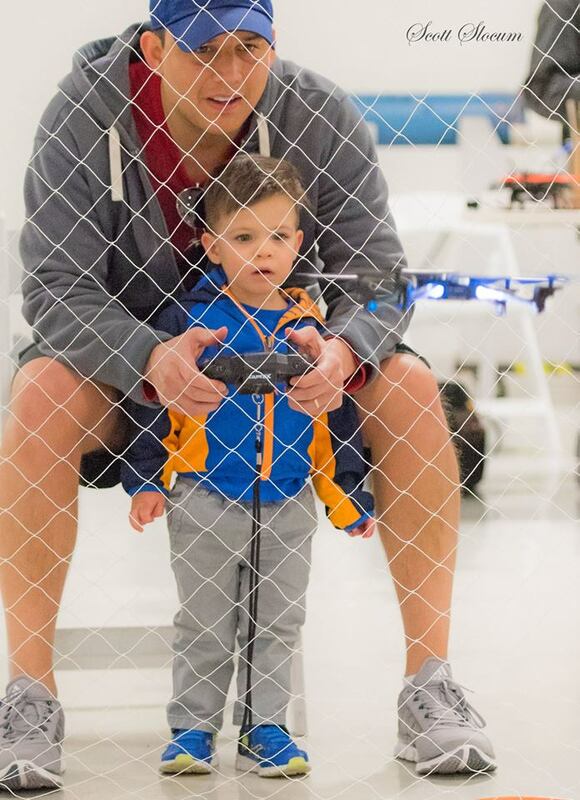 In Drone Wars IV the race will take place inside the museum’s 11,000 hangar as operators of the sci-fi flying machines compete on a precision 3-D line of sight obstacle course. The netted course includes hoops, pylons, bridges, turns and slaloms. You can watch the drone pilots battle it out for just $10 for adults and $5 for kids. Between heats you can learn about flying a drone and try out the sport in a test flight from one of the area suppliers who will be on hand to show you the ropes. Check out this early ancestor to the soccer ball at Maya: Hidden Worlds Revealed. Photo: Perot Museum of Nature and Science. 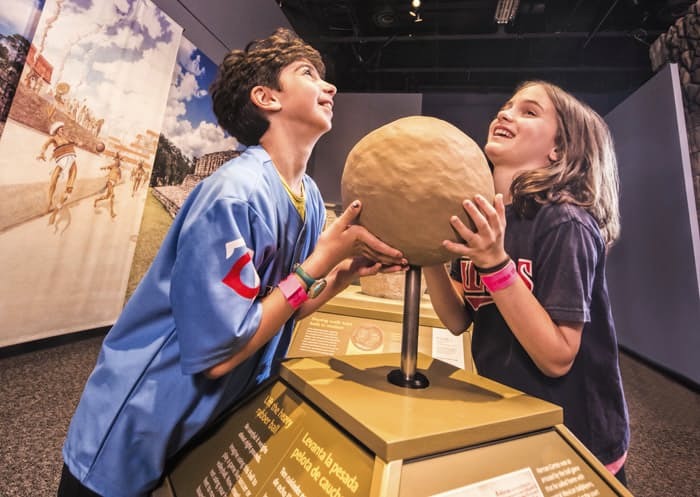 You can explore a new culture without leaving town this weekend at the Perot Museum‘s traveling exhibition Maya: Hidden Worlds Revealed. The show is the largest traveling Maya exhibition ever to tour the U.S. and features more than 200 artifacts and lots of interactive, hands-on activity stations. Kids can explore an underworld cave, learn how the Maya’s constructed temples, or decipher hieroglyphs from the ancient civilization. They can also learn surprising tidbits about the Mayan culture. For instance, did you know that some modern day sports can trace their beginnings to the Mayans? You can discover the secrets of the Maya through September 4. In case you didn’t know, next week is National Engineers Week. There’s no better way to kick off a week dedicated to science than at Engineers Week Family Day at the Frontiers of Flight Museum. 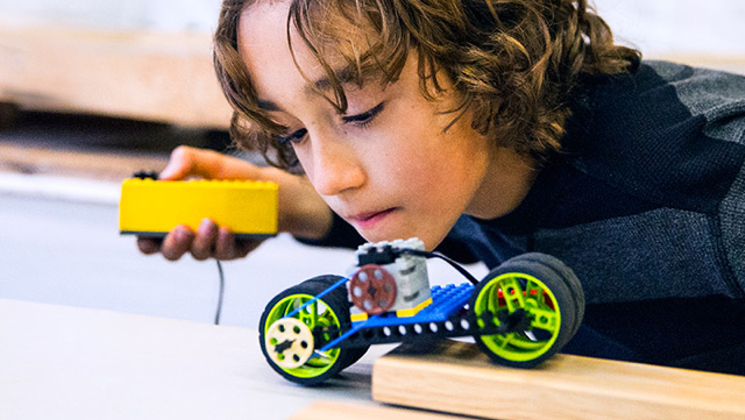 Your budding scientist can dive into activities like getting a peek at the upcoming solar eclipse inside the portal planetarium SPOC (Space Portal Odyssey Capsule), or building and battling LEGO robots. Visitors can also take a look through a solar telescope to see what’s happening on the surface of the sun, investigate frozen orbs, and guide a robot around Mars. The fun happens on Monday from 10 a.m. to 2 p.m.